Carryings On Up The Dale: A blast from the past. I was having a bit of a clearout under my games table today. Actually I was supervising and Katherine was doing the heavy work. Our objective of tidying the man cave was achieved and lots of junk was thrown out or consigned to the eBay box. A surprise find was the above item which I am sure all wargames of a certain age will instantly recognise. 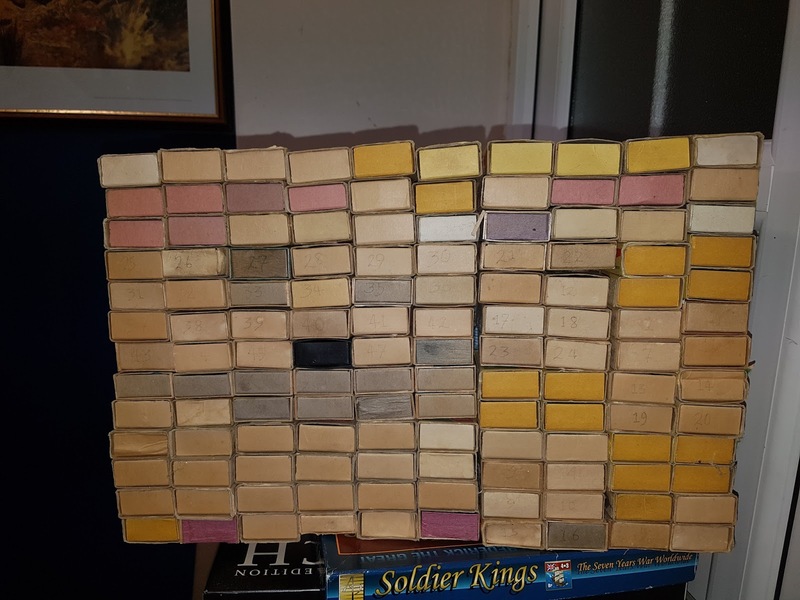 Yes it is a matchbox chest used in the dim and distant past to facilitate hidden movement in a campaign, each box representing a square on the campaign map. 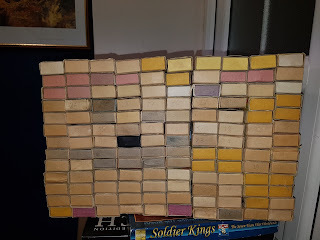 Players would secretly move tokens from box to box as their armies advanced and whenever a box was opened which had an enemy token a battle would be fought on the table. I remember several additional rules played over the years (and we are talking 1970s and early 80s here) allowing for random events like ambushed by partisans, mutiny, plague and so forth, and scouting rules allowing one to peek into a random.number of neighbouring boxes. I have kept this relic and hope to put it to good use in the new man cave. The matchbox campaign system is still a good way to run a campaign. Aly. When I started this matches were a few pence a box! Might be a bit more now! Colin. You get a 100 boxes of ship matches on Amazon for 6.95.
but it's no fun buying in bulk. unless you've scrounge and pillaged the odd box here and there it doesn't count. I threw mine out quite a few years ago too! Yes , we used one of those in Cheltenham in the late 1960s. I was always impressed with that system, good luck with the revival. I have cabinet too Colin from the same period but no where as spacious as yours!! Happy St George's Day - The 36th (Flemings) at Fort George. English enough for you?